Growing up, Chrissy Meek had the privilege of living all across the United States, from California to Florida, presently settling in the delightful city of Watervliet, Michigan. In college she took up Communications and chose to expand her knowledge through writing. Creative writing became her forte. 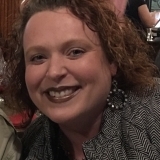 Meek, who has taken on the pen name of Caleigh Lee, continued her education and passion for children by becoming a Registered Behavior Therapist, working with clients who have Autism. “This is one audience I can’t wait to read my book to,” beamed Meek. Chrissy’s first children’s book, and first book in general, will be released September 18th and will be sold on Amazon in paperback and digital. The hope is that down the road it will also be available in bookstores such as Barnes and Noble and others. 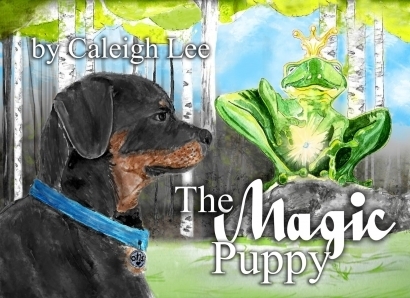 The title of the book is The Magic Puppy. The moral take behind it is that everyone has something special about them.